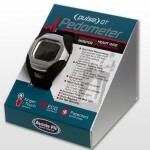 Motivation on your wrist – measures everything! 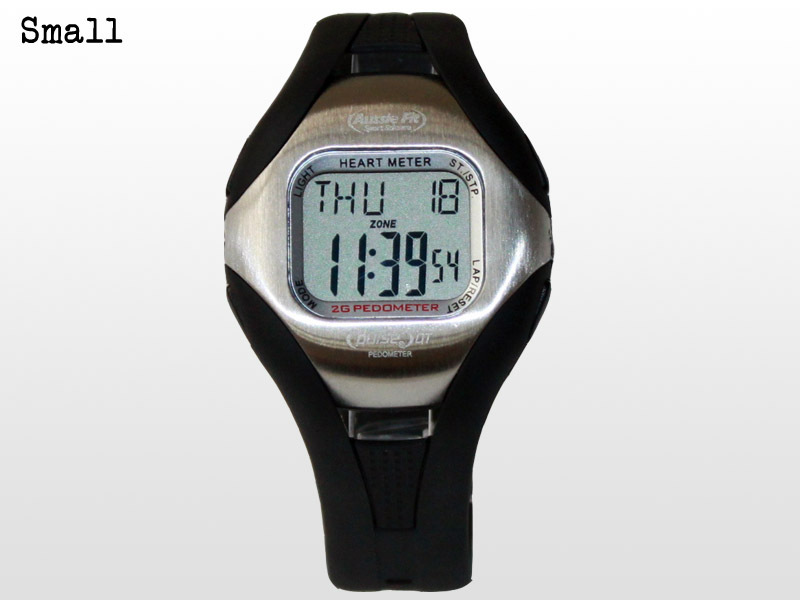 A Strapless Heart Rate Monitor that measures heart rate, steps, speed, distance and more! How does the triaxial sensor work? 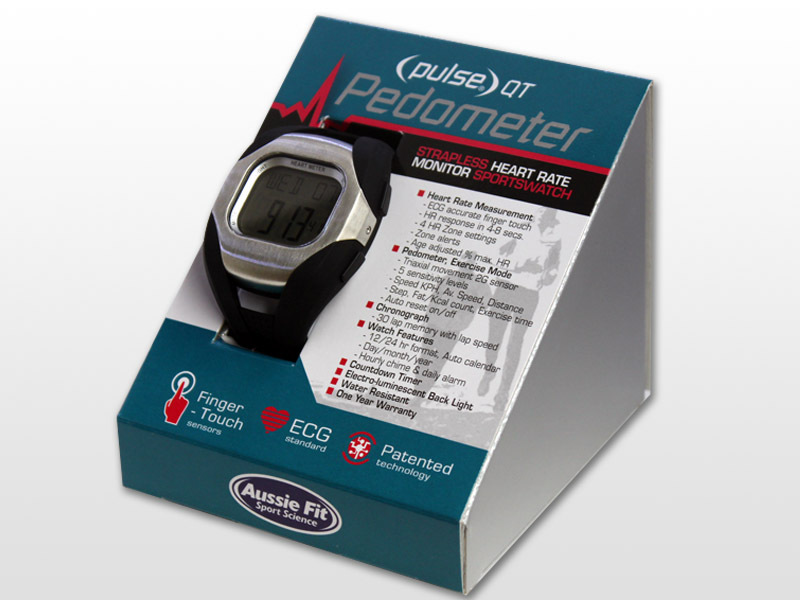 A mechanical pedometer has one sensing axis. So it only works at a particular orientation. 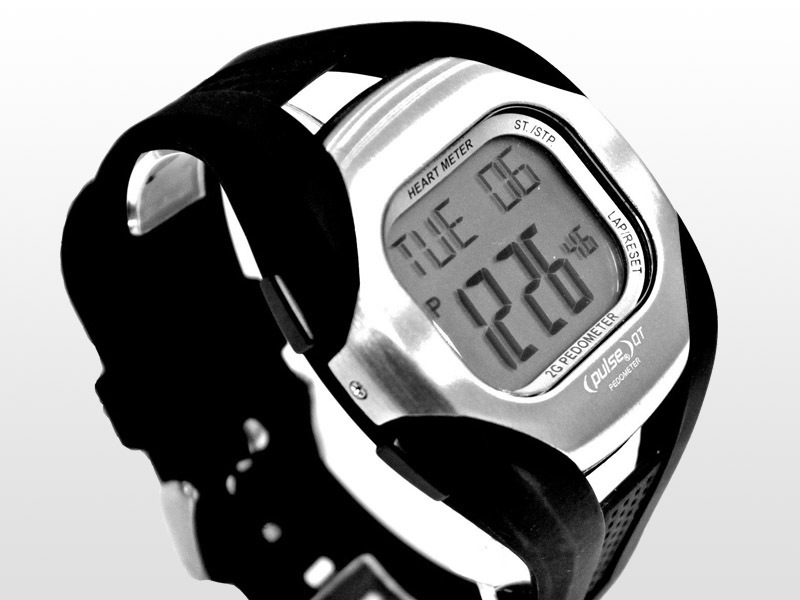 This watch uses a triaxial g-sensor. Individual sensors are configured in the x-yxz plane respectively. It senses acceleration experienced by the watch in all 3 axis continuously and looks for continuous and repetitive STEP patterns. The software will try to figure STEPS from the complex patterns created by the dynamic hand movement. So it does not have to be mounted in a specific orientation. 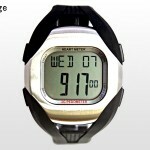 How do you determine which sensitivity level to set the watch to? 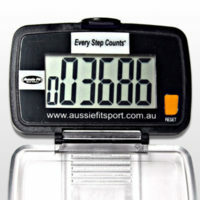 It is based on the step counting of the person. 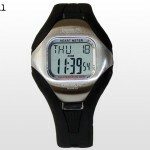 If the watch always counts more steps, reduce the sensitivity level. 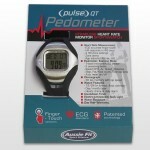 If the watch counts less than actual, increase the sensitivity level. 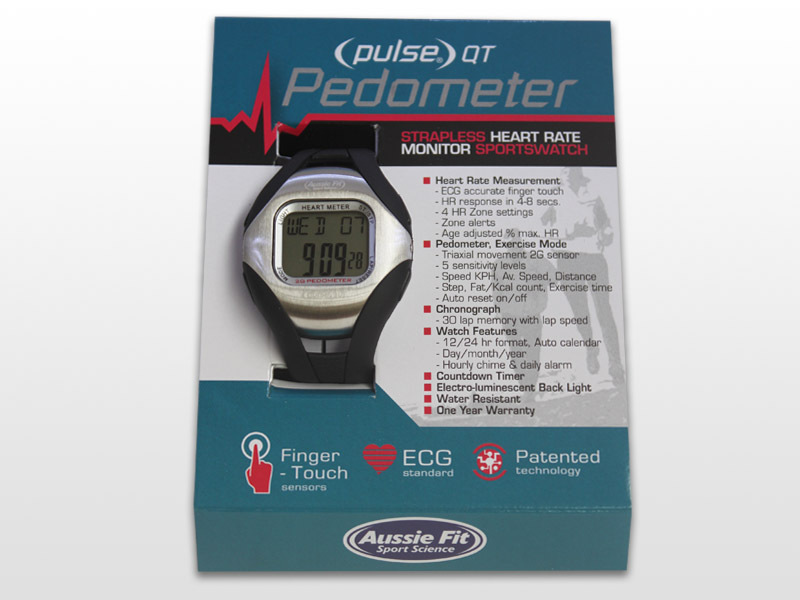 Can the sensor pick up the steps if the arms are not swinging freely? E.g. walking while pushing a trolly/pram? The watch counts periodical repetitive patterns. So it has to have some kind of motion to trigger the counting. It may be the swinging of an arm, it may be the vertical (up/down) body movement during walking or running. When we are pushing a trolly in a natural way, there is a force coming from the stepping forward movement and the sensor is able to recognise such movements as steps even when you do not swing the arm. How do I reset the daily data such as steps, calories, distance etc? In current time mode hold the Mode button until the ‘seconds’ start flashing. When the ‘seconds’ are flashing keep pressing the Mode button as it goes through the watch set up until you come to the screen which says DAILY ZONE r SE and then press the Lap/Reset button until you get ‘ON’ flashing at you. You have just turned the daily reset function on. 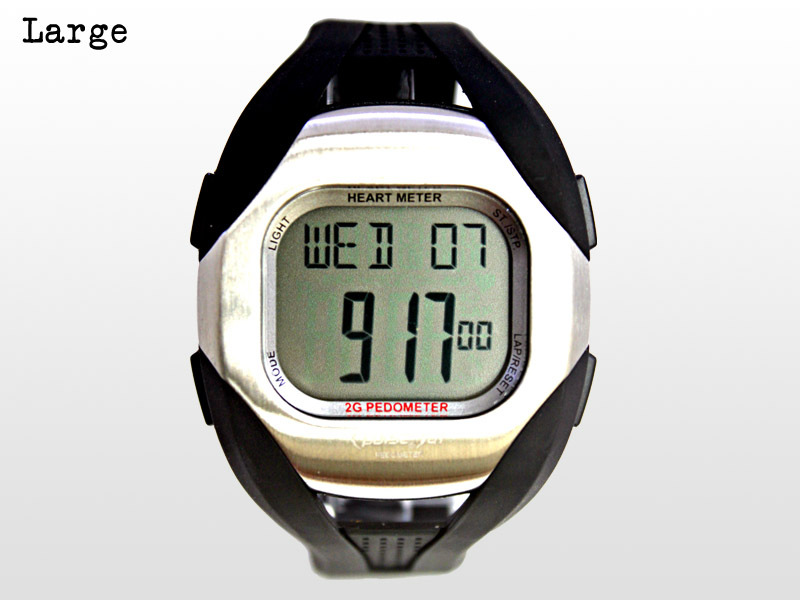 Get out of the set up mode by holding the Mode button down until you get the current time display.